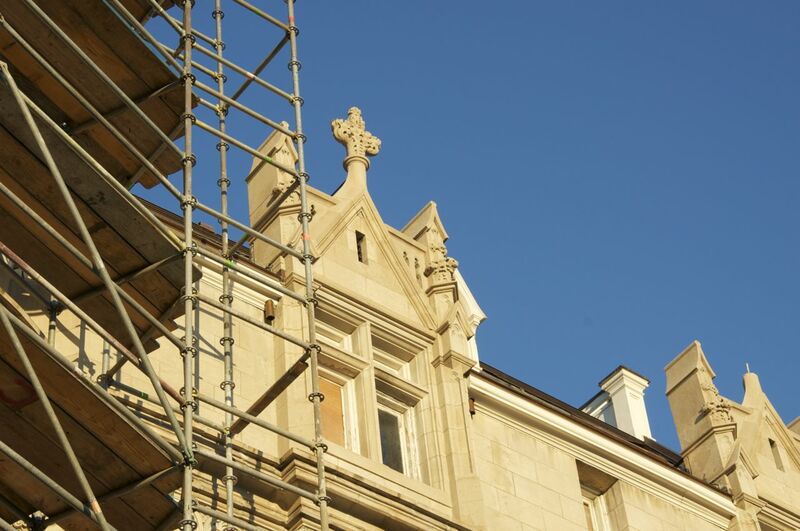 There was a little historic preservation going on in DC on Embassy Row. The former Christian Hague House, built for Norway’s first minister to the US after Norway achieved independence from Sweden, is currently owned by the Embassy of Cameroon. 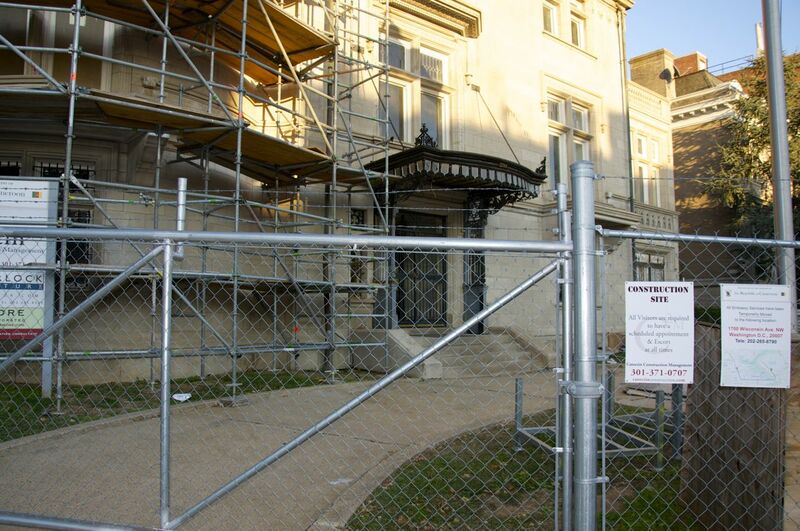 Construction began on the house in 1906, with building design by George Oakley Totten, Jr., “one of DC’s most prolific and skilled architects during the Gilded Age” (Kelsey & Associates, 1997 Historical analysis, embassy.org). Totten was chief designer of the Office of Supervising Architects, Department of Treasury for two years prior to starting his practice in DC. He designed over ten embassy buildings, and was advisor to the US Capitol remodel. He was responsible for a number of mansions located along the Kalorama, Sheridan, and Dupont Circles (Pamela Scott, Residential Architecture of Washington, DC and its Suburbs, Library of Congress). Hauge never lived in the house, nor saw it completed. He died in a snowshoeing accident in 1907, following a trip to France to purchase furniture and decorations (Scott, Library of Congress). His wife, who was born in Kentucky, lived in the house until her death in 1927, in which she hosted many events of social importance. 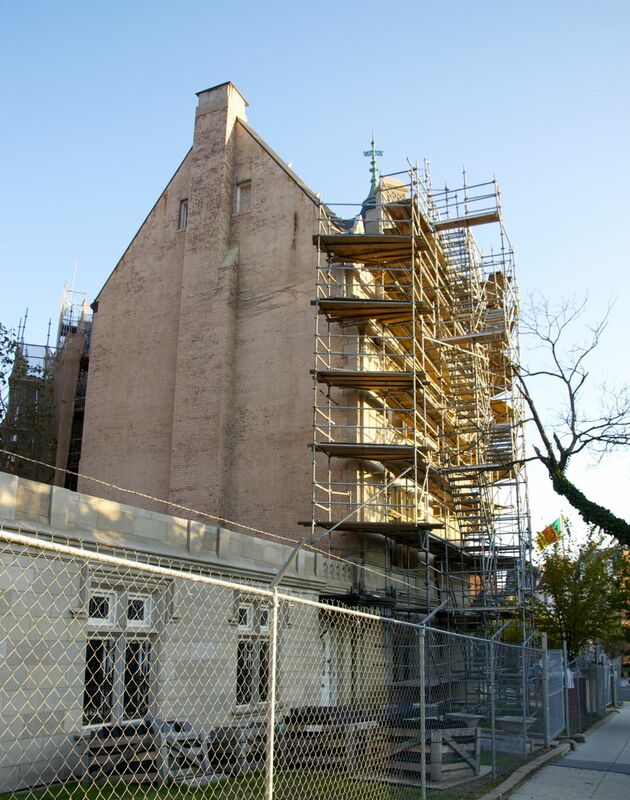 Following her death, it was vacant for two years, and then sold to the Czechoslovak Republic for use as their embassy. They remained in it until it was sold to Cameroon in 1972. The building had renovations in 1970. 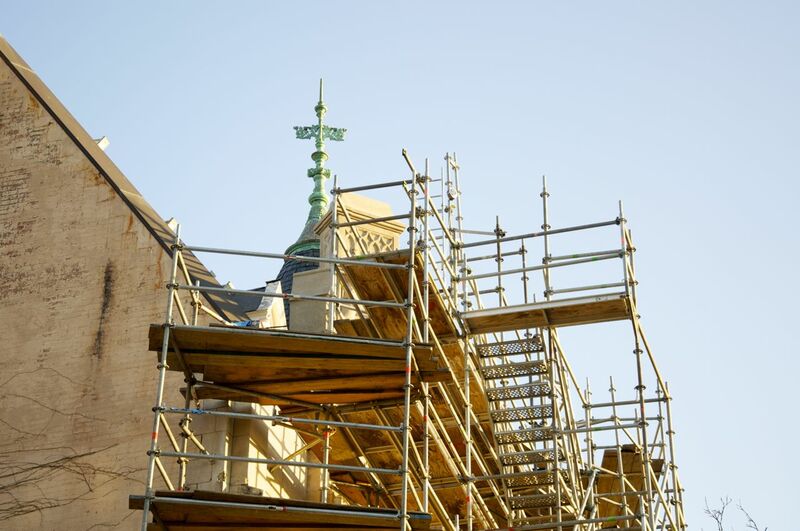 Current renovation began in 2010, and have taken longer than expected. You can see photographs of the interior at this Historic American Buildings Survey site. (Note: This corrected link was provided courtesy E.L. Malvaney, who noted the first link was connected to a website that did not cite the photographs as being part of the HABS collection. We don’t much like plagiarism and failure to cite sources in these parts. The original photographs were by Jack E. Boucher). The so-called Gilded Age obtained its name from a novel, The Gilded Age: A Tale of Today, by Mark Twain and Charles Dudley Warner, 1873. Gilding is the process of covering an item with a thin layer of gold: it looks pretty, but what’s underneath? Perhaps we never really moved out of the Gilded Age. This entry was posted in DC and tagged Christian Hauge, Embassy Row, George Oakley Totten, Gilded Age, Jr.. Bookmark the permalink. Wow, a snowshoeing accident? There’s a different world from Mississippi! What an interesting story, and one I will pass along to my Norwegian family. Well, that’s very interesting, isn’t it? And, that he has those photos for sale on the ebay site? Thanks for the catch and citation–I’ll correct it in the post. Yeah, when I saw that all the photos were b/w and seemed to be around the country, I thought they looked like HABS. I don’t mind somebody selling prints but it would need to be for a relatively low price, since his only cost is the paper and shipping. And credit should always be given. HABS belongs to all of us, as American taxpayers.